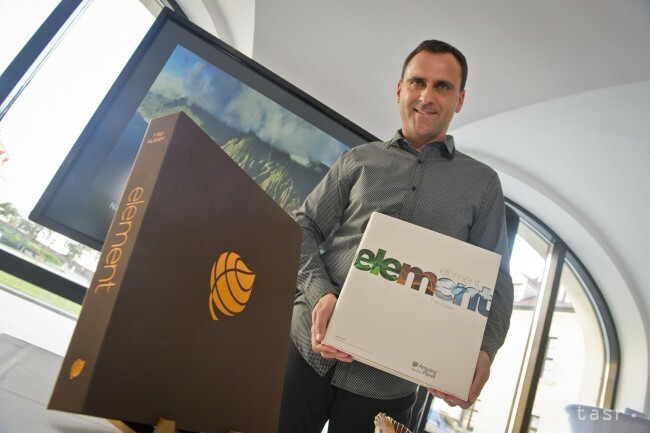 Bratislava, September 13 (TASR) – Slovak photographer and traveller Filip Kulisev presented his eighth book called Element at Bratislava Castle on Monday evening, TASR learnt on Tuesday. In his new book Kulisev shows the diversity and beauty of the Earth’s four basic climate zones in various seasons. The book was ‚christened‘ by Slovak President Andrej Kiska with the oldest sand on Earth from the Namib-Naukluft National Park in Namibia. „Filip Kulisev has again succeeded in reminding us of how exceptional this world that we’ve been given the chance to know and experience is, and how happy we can be, but also the extent of our responsibility,“ wrote Kiska in a foreword for the book, adding that showing the beauty of the world is meaningful. „Many [people] can point to the beauties of it [the Earth]. However, what I respect and admire in Filip is his humility; the fact that he hasn’t forgotten where he comes from and that he’s intentionally showing us our place in the world,“ said the president. The publication is divided into four parts based on climate zones and the elements. The polar areas of the Arctic and Antarctica are dominated by water in the form of ice and glaciers; the temperate climate zone, representing earth, displays mountains, rocky cliffs and caves; the evergreen subtropical zone is characterised by wind, which cools in summer and protects in winter; while fire from the sun’s rays burns deserts and brings eternal summer to the tropical climate zone. There are more than 400 photographs in the book, featuring, for instance, the blood-red sunburnt Ayers Rock (Uluru) in Australia, ice walls in Svalbard, the final piece of firm ground before the North Pole and the various colours of the American autumn in the US state of Maine. „I tried not to put photos in the book that had already been published somewhere else. They’re from the last five or six years of my travels,“ Kulisev told TASR. Element had an unofficial preview at a congress of the International Union for Conservation of Nature and Natural Resources (IUCN) in Honolulu on September 4. The book is available in Slovak and English editions as of September 13. Slovak Environment Minister Laszlo Solymos (Most-Hid), new US ambassador to Slovakia Adam Sterling and Bulgarian ambassador to Slovakia Margarita Ganeva were also in attendance at the presentation of the book at Bratislava Castle, where the public will be able to view Kulisev’s Amazing Planet exhibition as of October 1.